Our family has been breeding and selling Pedigree bulls for almost 100 years ! Ever since (Grandad) David Brickley produced Pedigree Shorthorns in South Ring, near Clonakilty, Co. Cork. 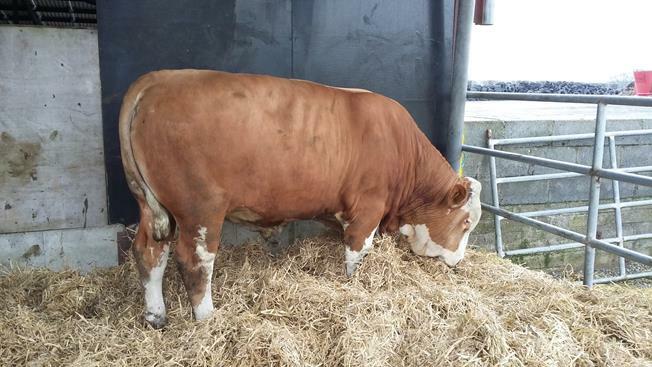 For the last 40 years, our business has been centred on producing pedigree Fleckvieh / Simmental bulls, which have been sold within Ireland and also to Northern Ireland, Scotland and England. Over this time we have learned a lot about the qualities that make a good bull, and particularly one that will last in the herd – temperament, structural soundness, and correct feeding before sale. All our bulls are fertility tested before sale. 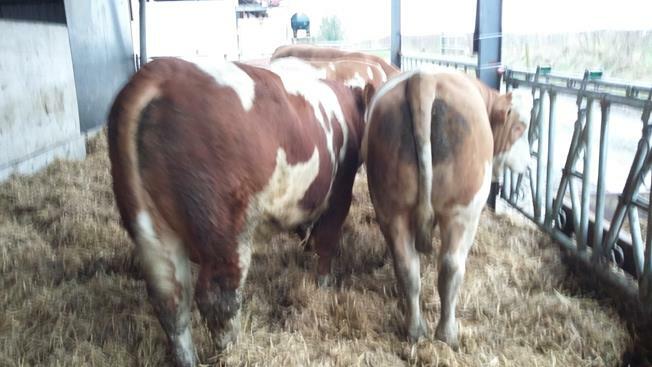 As Dairy/Dual purpose Fleckvieh breeding is in such early stages in Ireland, we import bulls from Austria for some of our customers. These bulls are Genomically tested and in the top few % of the breed. Normally the bulls we select have just missed the cut for AI and would typically have an Index figure similar to, or even higher than the top bulls in the current Proven bull list. 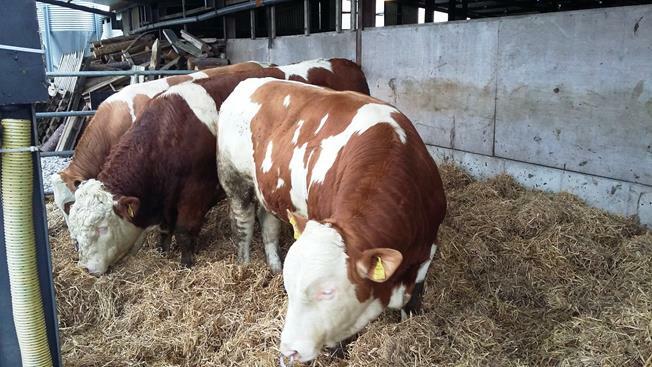 We can select bulls specifically for customers, according to your exact requirements, or you can come and select from our pre-selected bulls on farm here in County Laois. We also have retained a small number of young bulls from the best Fleckvieh cows in our own herd, and these will be available for sale late in 2016.